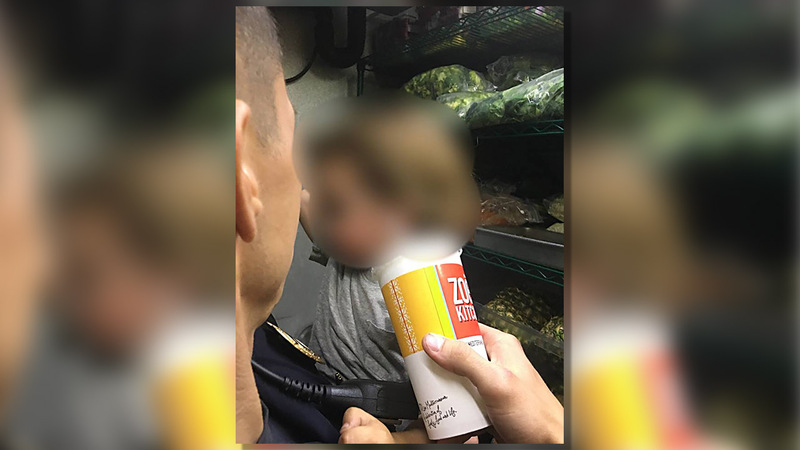 GREENVILLE, North Carolina -- A Greenville mother has been charged after she left her toddler in a hot car while she shopped for beauty products Thursday, Greenville Police said. Police responded at 1:49 p.m., to the parking lot of Zoe's Kitchen and Ulta Beauty, at 3120 Evans Street, Greenville PD said on its Facebook page. When they got there, officers saw several bystanders trying to get into a parked car. A 2-year-old boy had been left in his car seat in the back of the car. Greenville police officer Elliot Gruhn was able to unlock the car by reaching his hand through a cracked window. He quickly took the little boy into Zoe's Kitchen to cool him down. The child was then taken to Vidant Medical Center as a precaution. At the time the child was rescued, temperatures in the car ranged from 104-116 degrees Fahrenheit. After the mother returned to the car, about 30 minutes later, police arrested her. Ashley Caroline Garris, 21, was charged with misdemeanor child abuse and contributing to the delinquency of a minor. DSS Child Protective services is now involved in the case, and Garris has been prohibited from having contact with the child. Police said Garris left her son in the car for about an hour as she shopped in Ulta.